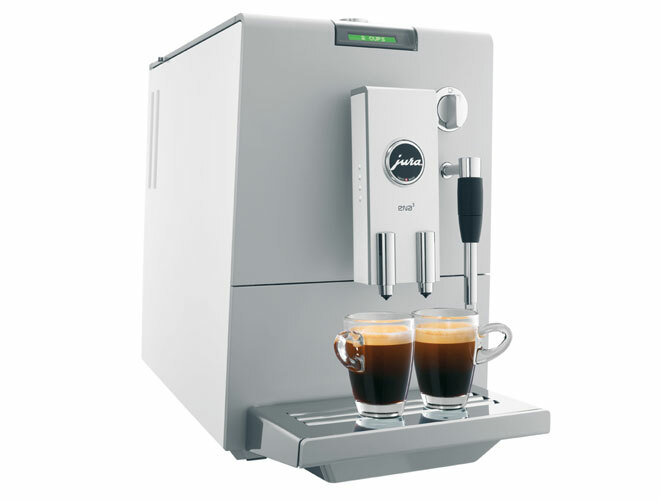 For reasons of space, many coffee fans have had to go without the benefits of a fully automatic machine for coffee specialities in the past. Not for them the unique pleasure of freshly ground and brewed coffee. But no more! The new ENA from JURA is a slim 23.8 cm wide, which makes it easy to accommodate even when space is at a premium. Front and top panels are a a nice not coated grey plastic - as opposed to the ENA5 which in addition to other coloured options for the side panels has coated platinum / silver front and top panels, in our opinion the unpainted grey plastic is as nice if not nicer! 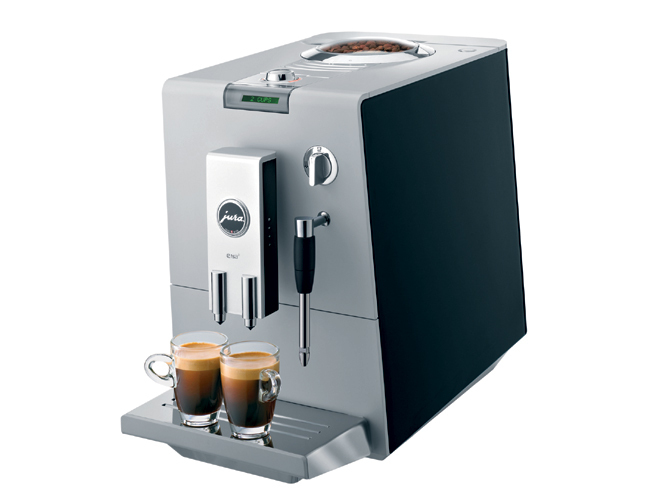 FREE EASY AUTO CAPPUCCINO UNIT (NOT NORMALLY INCLUDED AS STANDARD)! 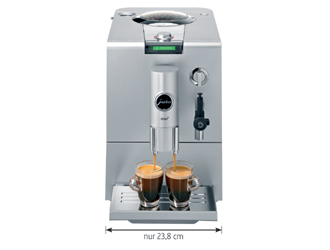 With ENA3, the double coffee spout can be adjusted smoothly between 65 and 111 mm. This means it can be adapted to all commonly used cup sizes. WE PRICE MATCH - If you see this machine cheaper or are offered a lower price in writing, let us know we will try beat it call 0800 321 3357 or email.